Item # 311574 Stash Points: 1,995 (?) This is the number of points you get in The Zumiez Stash for purchasing this item. Stash points are redeemable for exclusive rewards only available to Zumiez Stash members. To redeem your points check out the rewards catalog on thestash.zumiez.com. Step up your cold weather looks with the classic 5Boro Rose Black Beanie. This all black beanie is highlighted by an embroidered rose image at the cuff in red with a matching 5Boro text logo beneath. 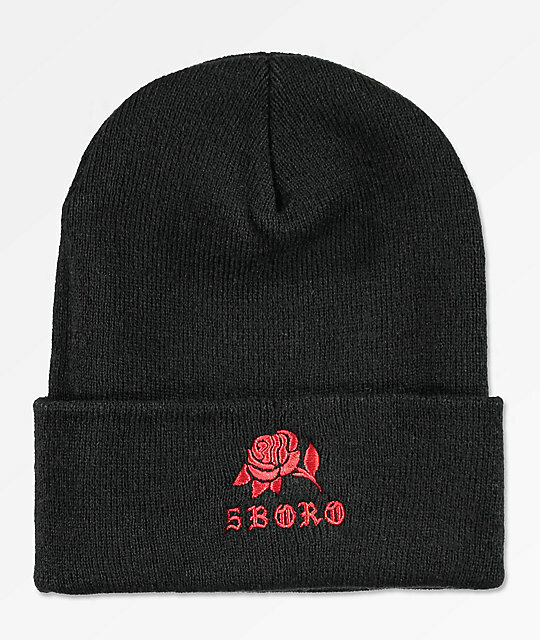 Rose Black Beanie from 5Boro. Fine knit construction with fold-over cuff. Brand script embroidered at front cuff. Fold over cuff style fit.